The Treasure Valley is composed of the major community of Boise with outlying communities in Ada, Canyon and Elmore counties. These include Mountain Home, home of one of the largest Air Force bases in the United States; Nampa, site of the Snake River Stampede, one of America's top 25 rodeos; Caldwell, home to Albertson College; and the communities of Meridian, Kuna, Eagle, Star, Emmett, Weiser, Parma, Wilder, and Marsing, Idaho and Ontario and Payette, Oregon. The Boise Metropolitan Statistical area of Ada and Canyon counties has a population of 465,000. The economic base for the Treasure Valley is diverse, including manufacturing, agriculture/food processing, medical, high tech, services, government and education. 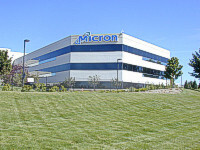 The valley is headquarters to several large employers: Albertson's, Micron Technology, Morrison Knudsen Corporation (renamed Washington Group International). Boise Cascade Corporation (now named Boise) and the J.R. Simplot Company. Boise is also the location for the Hewlett-Packard Company’s largest and most profitable division of its 60 worldwide facilities. The Treasure Valley is also hospitable to entrepreneurs, with self-employment the fourth fastest growing industry in Idaho. The Treasure Valley is the home of Boise State University, with an enrollment of 18,000. Northwest Nazarene University in Nampa provides undergraduate and graduate degrees to its 1500 students. 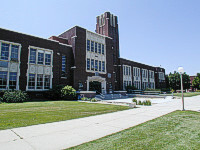 In Caldwell, Albertson College of Idaho is a small, prestigious private college boasting several Rhodes scholars as graduates. 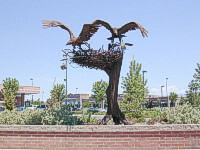 Treasure Valley Community College has campuses in Ontario and Nampa. Idaho State University and the University of Idaho also maintain active satellite campuses in the valley.